A new 100-rouble banknote issued by Russia's Central Bank to mark the upcoming 2018 FIFA World Cup. 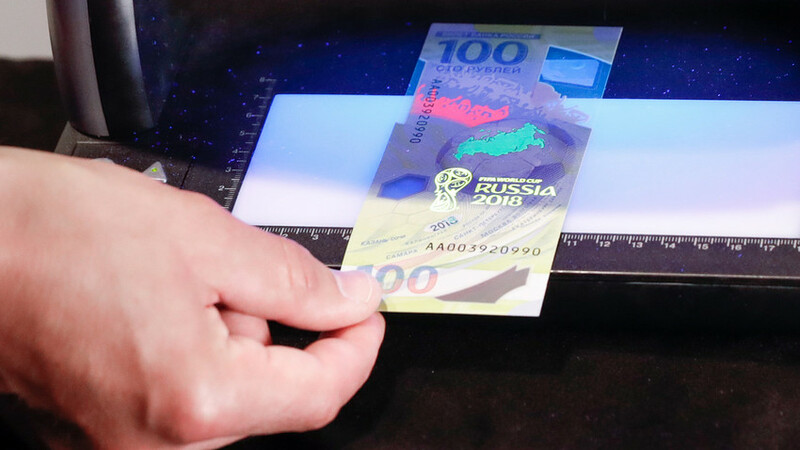 A 100-ruble banknote commemorating the 2018 FIFA World Cup in Russia has been put into circulation - the event kicks off on June 14. The design symbolizes the aspirations of the country’s younger generations, and the examples set by Russia’s greatest football players like Soviet goalkeeping legend Lev Yashin. On the reverse side of the note is a flying football, which represents the globe and the international nature of the World Cup. More than 20 million special notes have been printed. If you’re wondering what to do and see in the host cities during the tournament, click here.